There are some great places to visit in Blyth, especially when the weather is right. Some of the most interesting things to see are the sculptures dotted around the coast such as The Spirit of the Staithes on the Quayside. This was part of the overall regeneration of the Quayside, created by the artist Simon Packard. 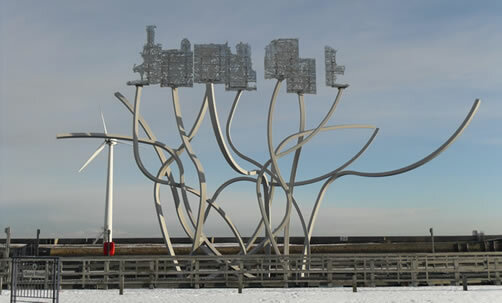 It represents the heritage of coal distribution in Europe, an industry in which Blyth was the largest exporter. Not forgetting to mention the 11 solar sound posts which replay pre-recorded stories relating to the port told by local people. They set off when approached, as I found out not so long ago when walking past! The cycle sculpture is another great find when strolling along the beach footpath into Seaton Sluice. I love the view across the beach towards seaton sluice. The vibrance of the multi coloured huts and the ship shaped Dave Stephens centre that’s sits next to the ever popular fish and chip café. My favorite time to walk along the beach is later on in the day, early evening as the sun sets in late summer and the yacht club members are out. There’s a romance in the view of white yacht sails catching the deep rays of sunlight in the orange and blue distance, now there’s a picture painted in words! 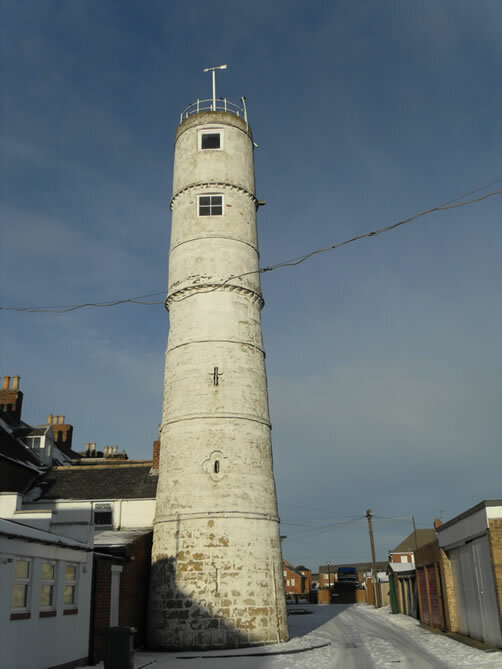 Standing to the rear of Bath Terrace is the Grade II listed "High Light" lighthouse. This is one of Blyth's oldest structures and was deactivated in 1985.